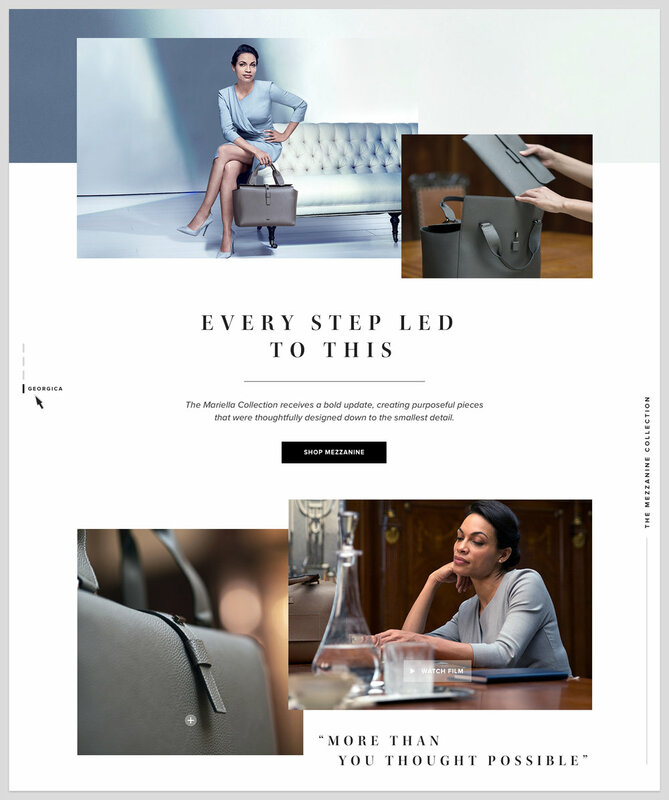 I led the UI design for Tumi's Women's Campaign launch. 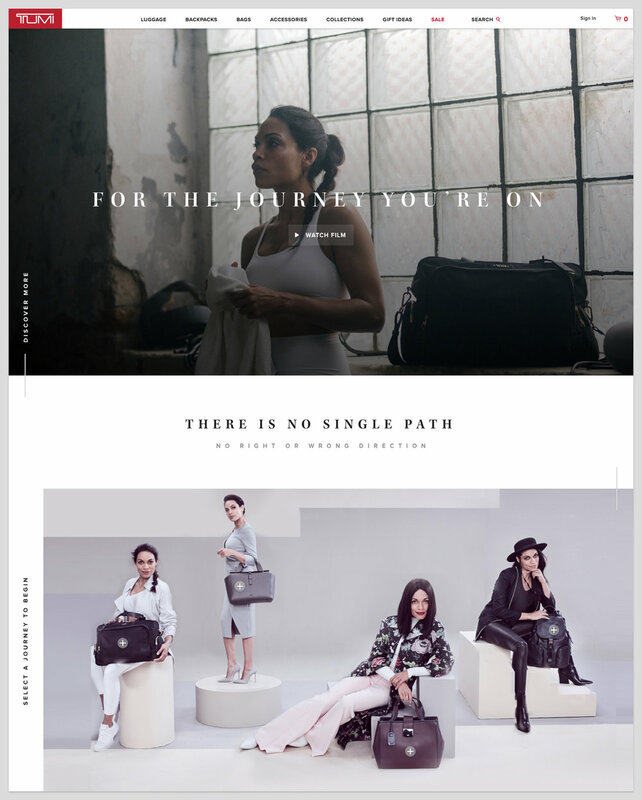 The campaign features Rosario Dawson, shown in four different personas with four different product collections. 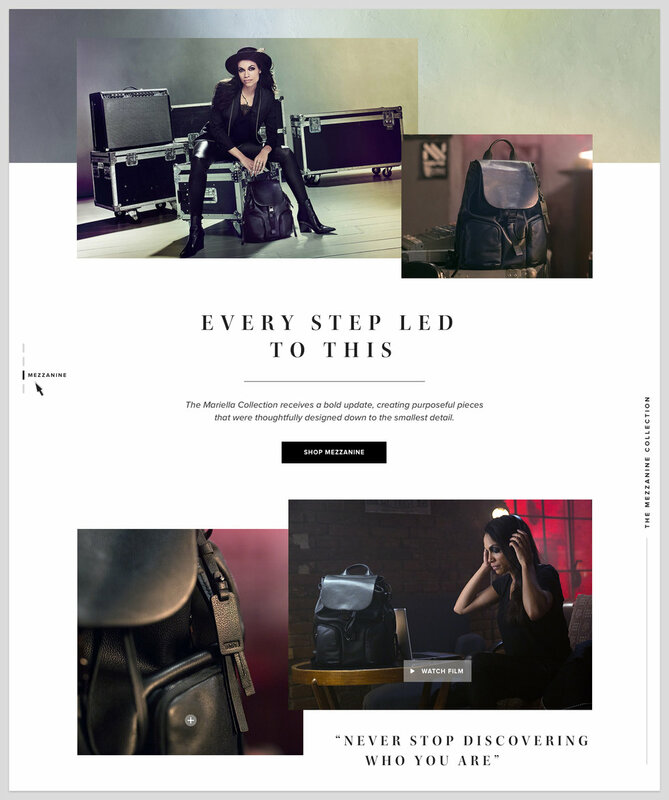 I concepted a web experience that allows users to explore the different collections and follow the journey of each persona. 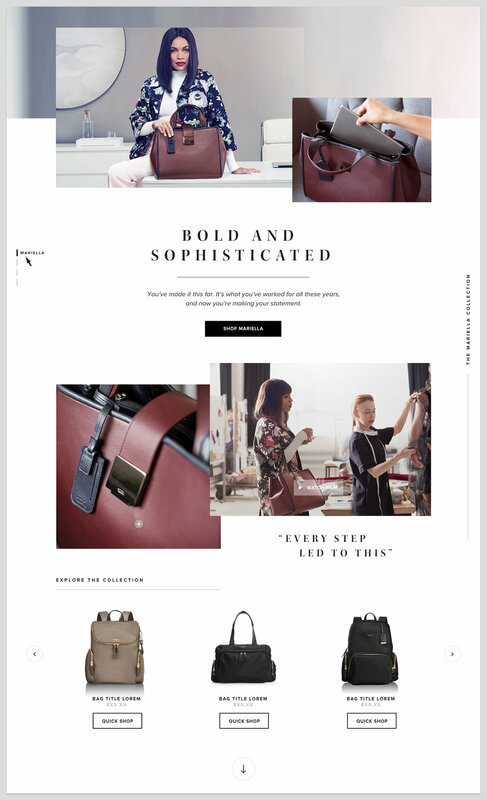 My goal was to seamlessly blend the narrative of the personas with a modern commerce experience.